Fall in Germany is great! Forests turn into a magical place of changing colors, formations of birds cover the sky, heading south to warmer territories and everyone is enjoying the last warm rays of sunlight before winter moves in. 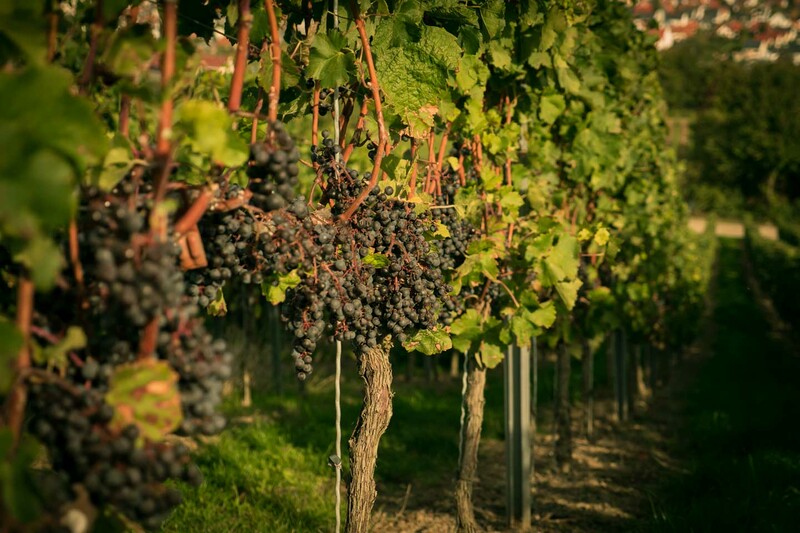 Vineyards teem with farmers eager to pick the first ripe grapes and turn them into young wine. 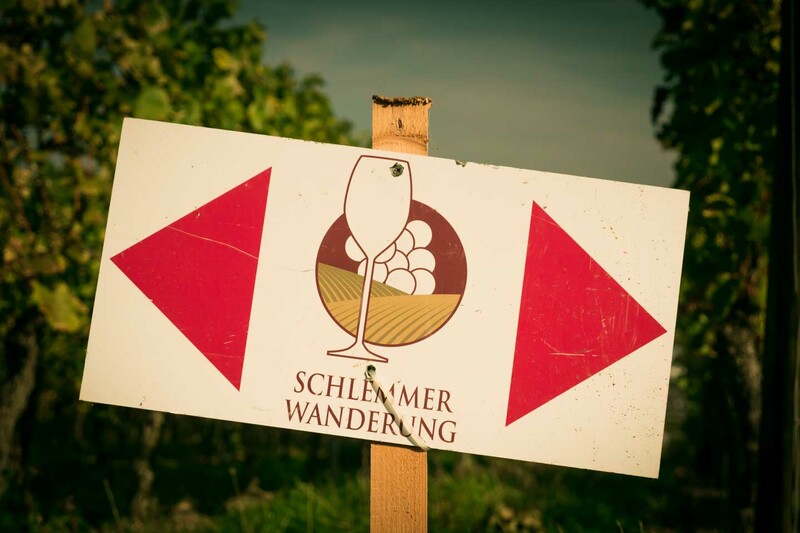 A perfect setting for the Oppenheimer Schlemmerwanderung, a gourmet hike along historical tracks peppered with wine tastings and a great culinary selection. The Schlemmerwanderung is easy to explain. 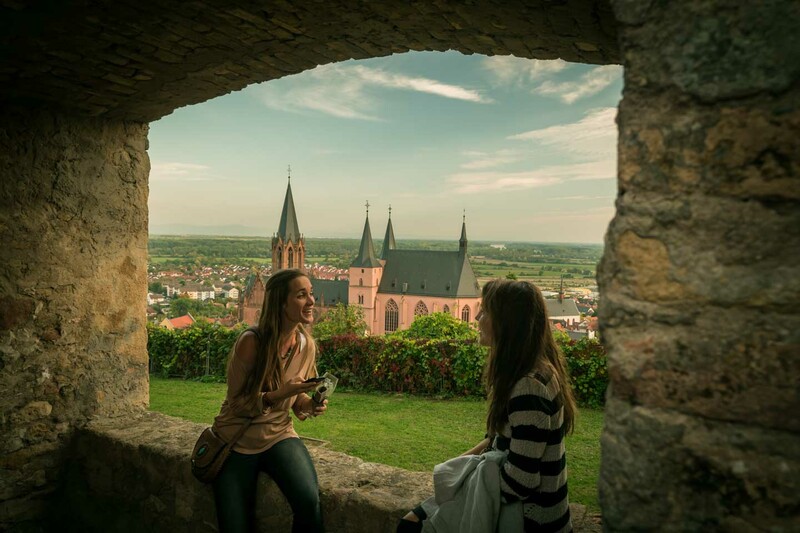 It's a 7 km hike along the picturesque vineyards of Oppenheim and Dienheim. Schlemmer is the german word for gormandize and Wanderung means hike. 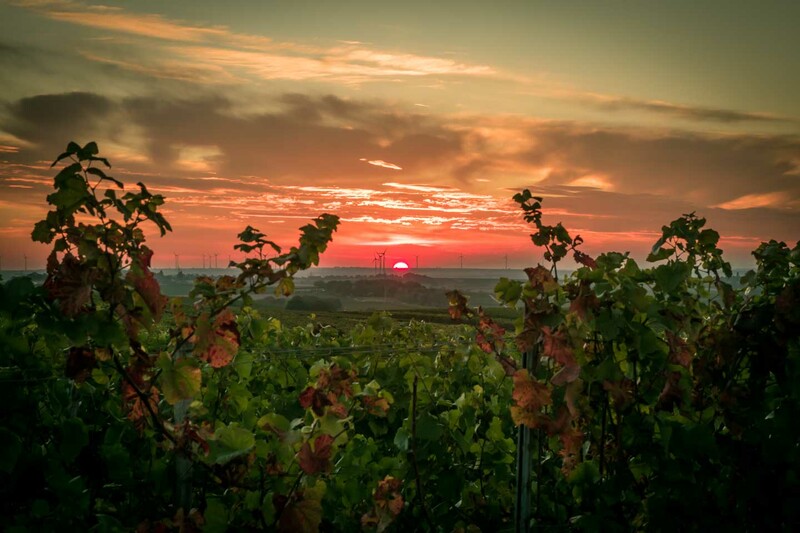 Twice a year, in fall and spring, farmers and local residents turn the vineyards into a temple of culinary seduction topped with a great selection of local wines. Everyone from young to old is invited to spent a few hours strolling through this gorgeous landscape. The entrance fee is 2.50 Euro but in return you will get a free wine glass to take along and home. 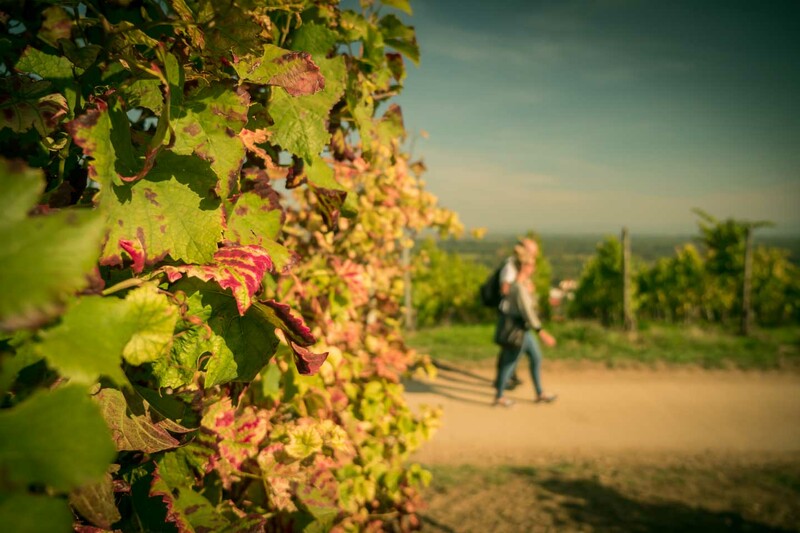 During the autumn Schlemmerwanderung the grape harvest is still in full swing. Most of the vineyards have been picked but there are plenty of grapes left. Nowadays most farmers use massive harvesting machines and only a few selected vineyards, especially the steep and narrow ones are picked by hand. For a more pleasant walking experience there is no harvesting action during the event. Anyway most farmers are more busy selling their wine than making it. A typical drink these days is Federweißer. It's a cloudy beverage in the process of fermenting somewhere in between grape juice and wine. In contrast to young wine the fermentation has not ended yet, giving each barrel a unique taste. Young Federweißer is dark and sweet and over a period of time will turn more sour and white. 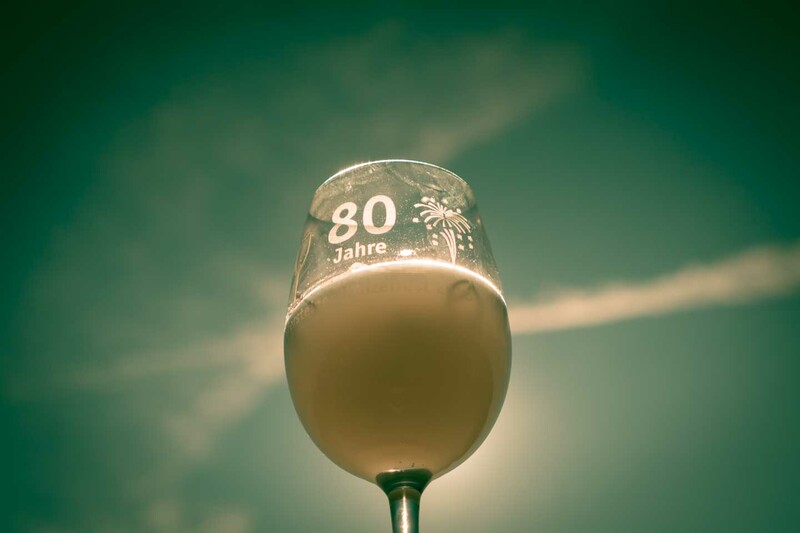 During the autumn months Federweißer is a common drink in wine regions all over Germany and usually served with onion tart or quiche lorraine. The Oppenheimer gourmet hike used to be somewhat of an insider tip. It mainly attracted people from the region and had a more familiar atmosphere. In the past few years it became more and more popular, attracting visitors from other regions. 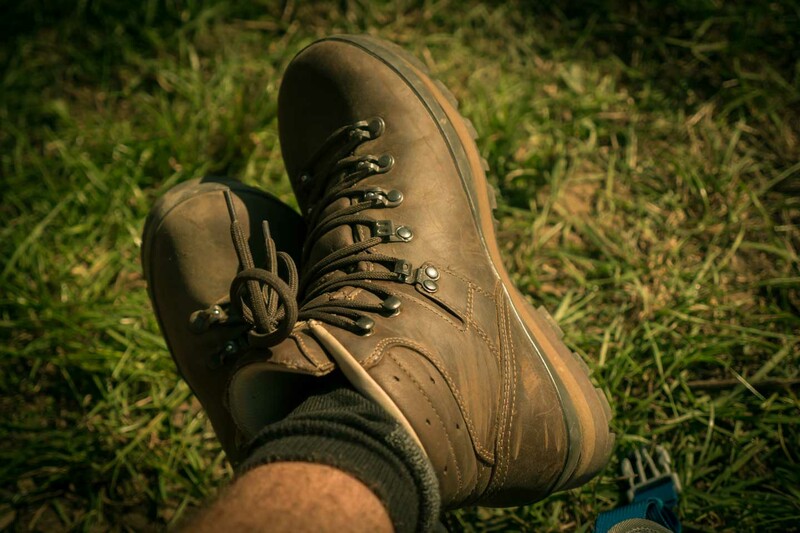 This years hike was blessed with perfect weather conditions resulting in even more visitors. We even spotted some oversea tourists. I have no idea how they got here but from what we saw they were having a really good time. Especially the few asian people we met seemed to really enjoy themselves. I guess they have a very positive respond to Federweißer. To avoid parking hassle we didn't even bother driving into Oppenheim and started our hike in Nierstein instead. There's a small hill dividing the two towns and it does not take much longer than 30 minutes to walk from one to the other. It's actually not a bad idea to add a little distance to the only 7 km long Schlemmerwanderung. This way you can have half an hour of pleasant anticipation up-front and a short stroll afterwards in case you need to get a little more sober. 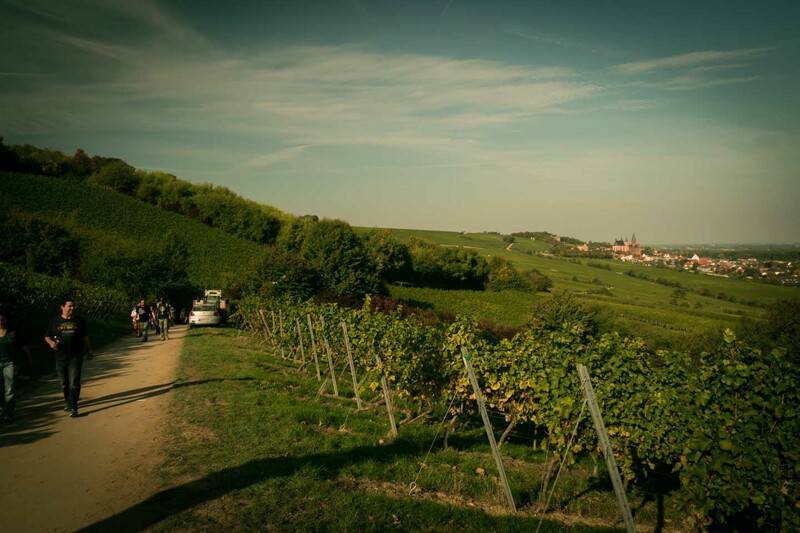 If you like wine the hike is a great way to get to know the local product range. 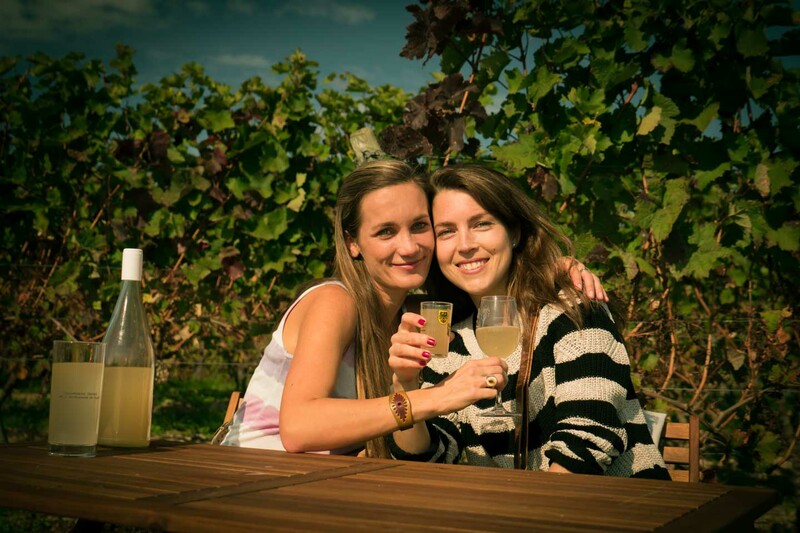 Almost every vineyard has a tent or booth along the way and is more than happy to sell you a glass or bottle. If you ask, you can try any wine before you actually buy it, something I would really recommend. Especially if you are after some Federweißer I would make sure it suits your needs. Tastes differ from super sweet to mainly sour. Once you got yourself a glass you can lean back and enjoy the beautiful surroundings of this unique walk. The whole walk is a loop track and you can hardly get lost. Just go with the flow and follow the crowd. For those who had a glass to much there are signs you can't miss. 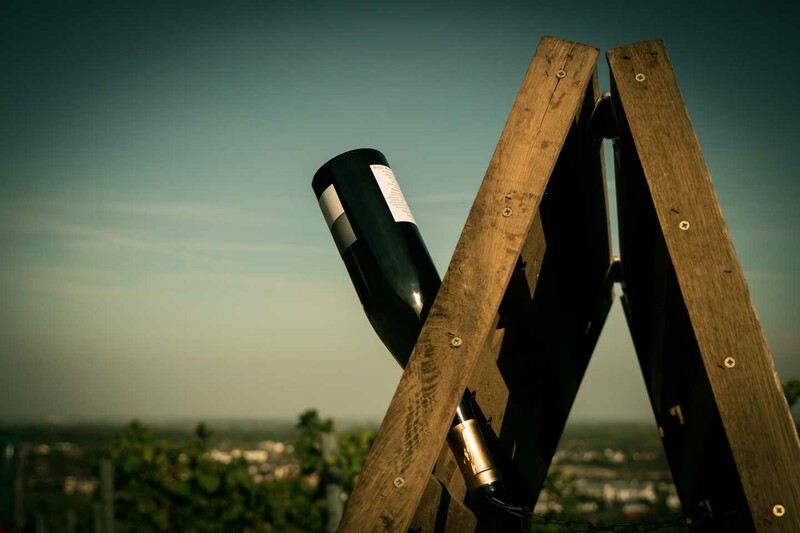 Honestly it looks like the guidepost have been erected by a bunch of drunks for a bunch of drunks, but unless you are passing out somewhere in the vineyards you won't need them anyway. 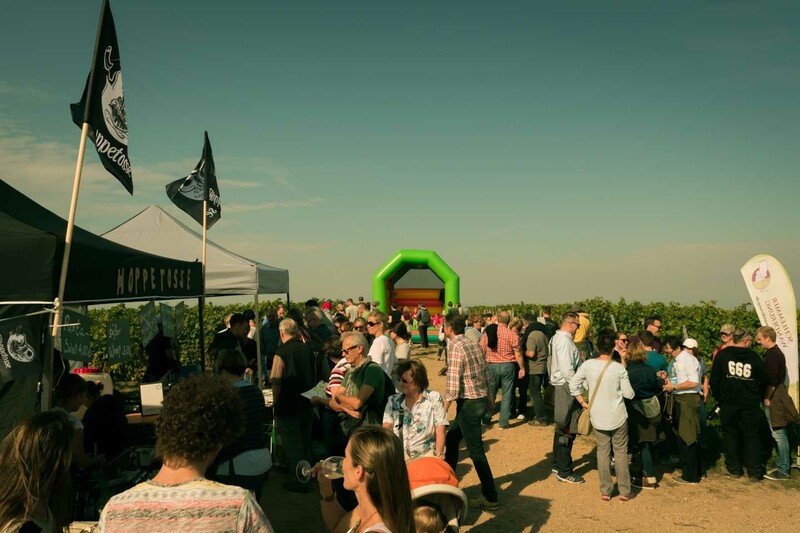 The whole idea behind the event is to have a fun day out and enjoy yourself as much as the great surrounding and the wine and food on offer. The sport aspect is not taken to serious and most people are dressed pretty casual. A few are on a mission, trying to finish the whole walk in less than an hour but I guess they did not get the point of this happening. We were taking it pretty slow with a lot of breaks and drinks in-between. There's a lot of delicate food on offer but we experienced that many things sold out pretty quick. Due to the fact that we took it pretty slow, nearly all gastronomic specialties were gone when we arrived. 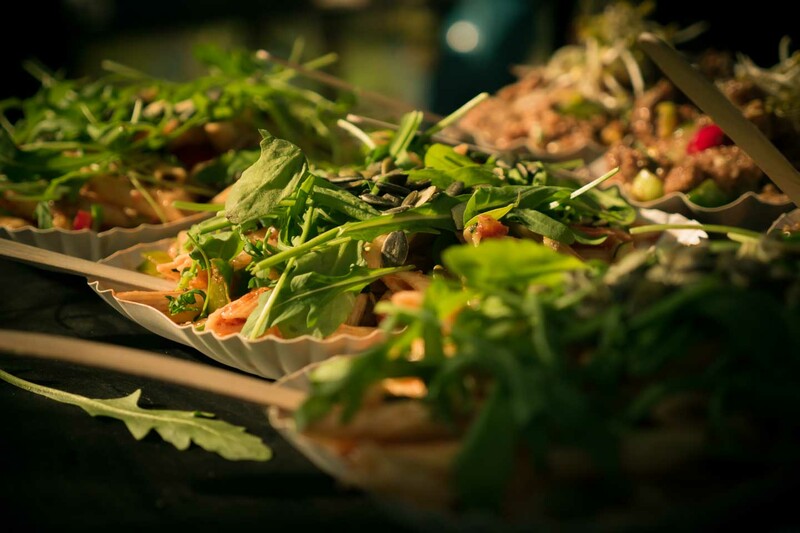 If you are after some great local food, don't get up to late. Just in case your favorite dish is out of stock you can still just walk a few meters off the track to get some nice, ripe grapes. 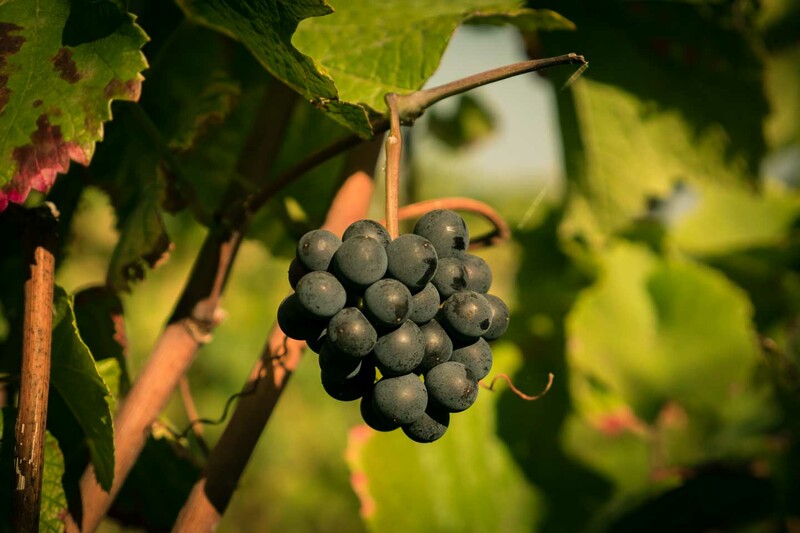 Picking grapes from a strangers vineyard is something that's usually not very welcome, but I guess most farmers will turn a blind eye these days. 7 km can be a long way for a small kid. We met a lot of families that were not put off by the distance and found a way to keep their kids happy. 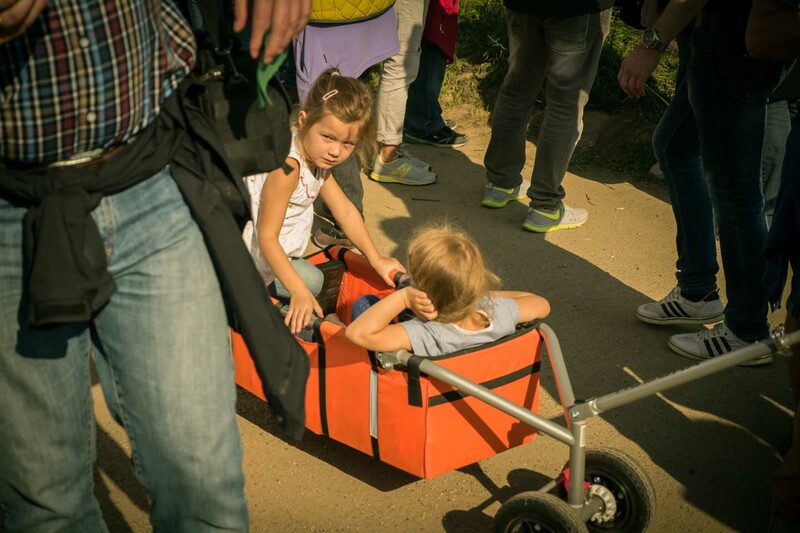 A small handcart will not only help to carry your kids but might be useful for a few snacks or things you want to take along. Actually the whole event is advertised as child-friendly and truly every second booth had a kids attraction. From petting small rabbits to bouncing castles or getting a fancy face paint, we could tell that kids are more than welcome. 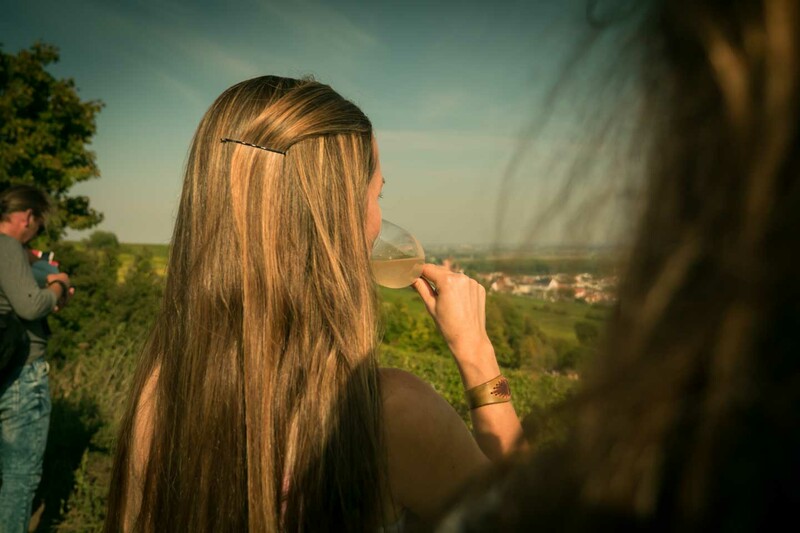 I like the idea of being out in the vineyards, enjoying a glass of good wine and taking a relaxed walk with some beloved friends. 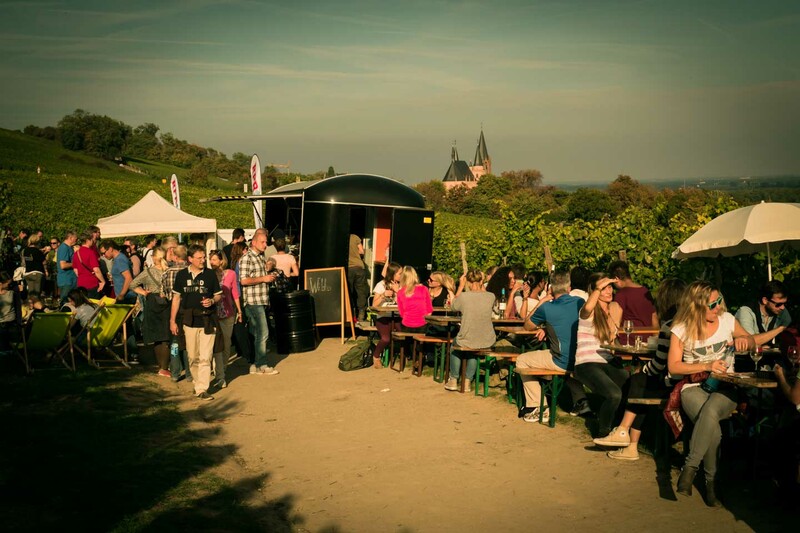 Not only because of the great weather the whole Schlemmerwanderung had a very nice vibe. 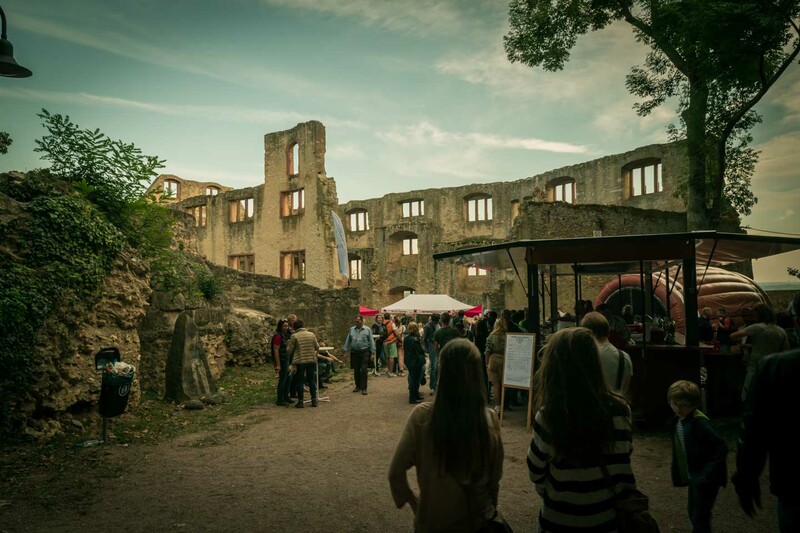 It's the familiar atmosphere, the nativeness of the people and of course the great setting that make this happening a truly outstanding event. 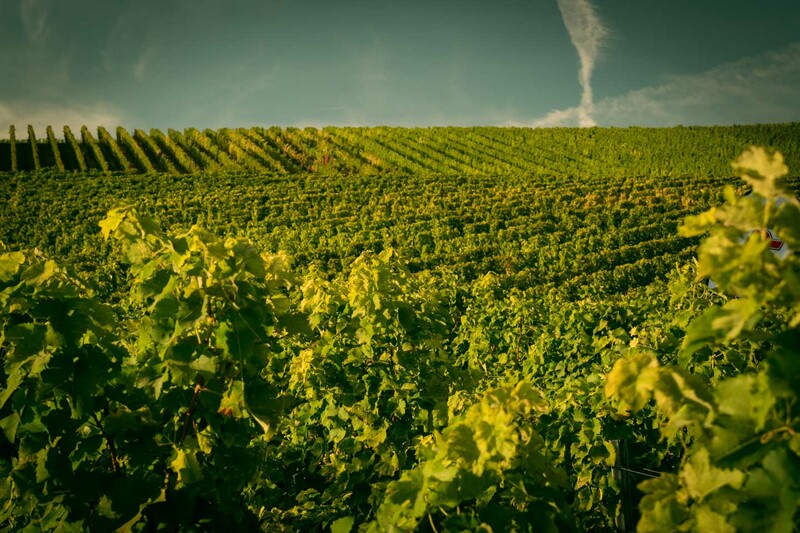 Even though vineyards are probably as far as you can be from unspoiled nature, they have a charm of their own. It's a never ending array of straight lines wherever you look. Everything is green and with autumn knocking on the door the leafs are starting to turn yellow and red. Looking for a lift? 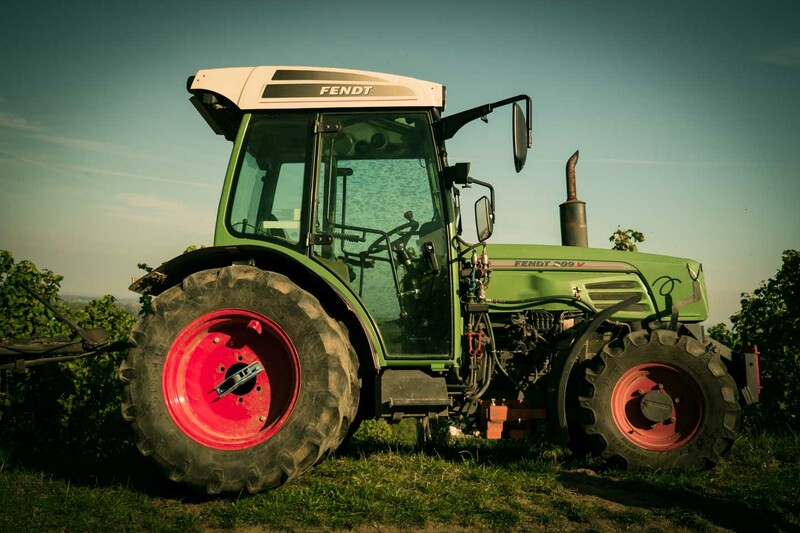 The only vehicle you might come across will have an agricultural origin. 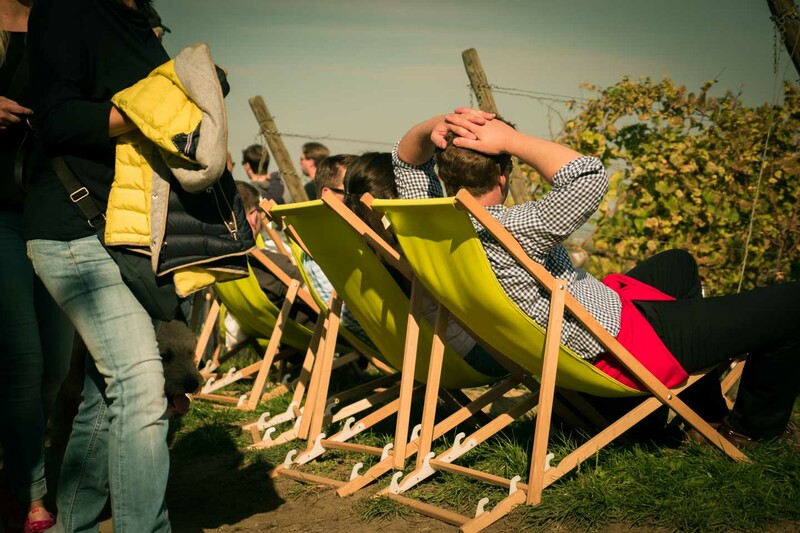 We were really surprised how well the organizers managed to keep any distraction out of the vineyards. Like I said before there was no grape picking going on. Overall it looked like the whole town had come to a halt and was taking a break from this otherwise stressful time of the year. I was really looking forward to try some local dishes but being late and moving slow we missed out on most of them. Fortunately one of the last food trucks had a few things left on offer and after a long time in the queue we managed to get something to eat. I wish they had stocked a little more dishes but I guess most stalls were surprised by the great interest, mainly due to the great and sunny weather. Or last stop was the Oppenheimer Landskron, a ruin from an old castle dating back to the 13th century. It's an impressive setting and a perfect place for a final break before we were slowly heading back to Nierstein. Kids were pleased to find another bouncing castle, this time in form of a giant wine barrel. The later the day the more adults were attracted by the kids entertainment, too. At this time of the day you could rather call it the tipsy tent than a bouncing castle but still, everyone was having a good time. If you read this blog entry you might think the whole Schlemmerwanderung is one giant booze-up, but actually people were drinking pretty responsible. Visitors were more having a good time than trying to get loaded. We did not see a single drunk person, at least not to a state were it would become offending. Something I was a little surprised of but once again underlines the great vibe of this event. Sooner or later even our last glass was empty and it was time to say goodbye. We still had another 30 minute walk back to Nierstein in front of us and the sun was slowly getting low. Behind Anita you can see Oppenheim's old gothic church. If we wouldn't have visited it before, it would have been a shame to just walk away. Heading back to Nierstein we were accompanied by the best sunset we had in weeks. In a total we spent almost 6 hours on the Schlemmerwanderung and enjoyed every single minute. It's a little sad we missed out on some of the culinary lusciousness but that's something to come back for. If you ever happen to be in Oppenheim or close by during fall or spring, keep an eye on this event, it's really worth a visit.